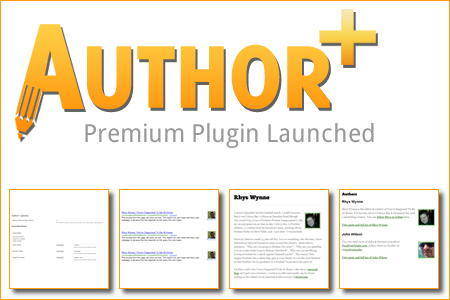 Today sees the launch of my first ever Premium WordPress Plugin – Author+! Author+ (pronounced Author Plus) is a WordPress Plugin that allows you to create useful, indexable WordPress Author Pages which will lead to more traffic and backlinks to your blog. 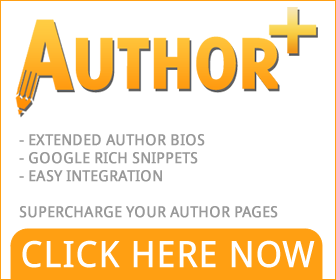 Creates an “Extended Author Bio” which will be a content rich introduction to your site. The ability to create “Rich Text Snippets”, which can be seen in Google (see Darren Rowse & Rand Fishkin’ snippet on this search). The ability to list all your top authors in a simple style. Free Bonus Video on how to get the most out of the plugin. You have a 30 Day Money Back Guarantee on this plugin, so you can try it safely and easily. To find out more please click this link, or to buy the plugin, click the link below. We also have an Affiliate Programme, so if you want to recieve 50% Commission for selling the plugin, please check that out.